Fondly nicknamed Barney by anglers, its death has puzzled experts as the creature had seemed relatively young and healthy, and had no visible injuries. 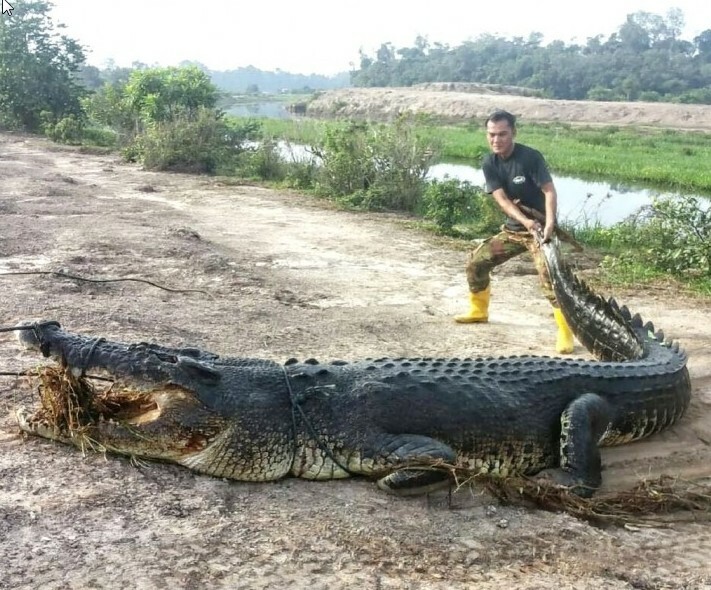 SINGAPORE - A 400kg crocodile, probably one of the largest to have roamed wild here in decades, has been found dead on the Kranji Reservoir grounds. National water agency PUB, which oversees the area, said that it received feedback from its crocodile handler on April 18 that a dead crocodile was spotted at the Kranji Reservoir area. "Upon receiving the report, PUB officers immediately went on site and found a dead crocodile. 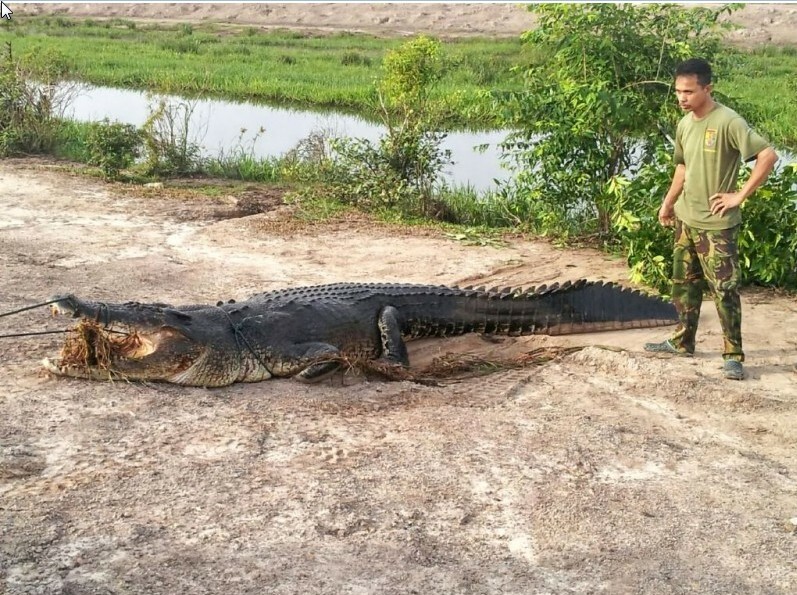 Arrangements were then made for the crocodile handler to remove it from the reservoir and the dead crocodile was disposed of at a nearby farm," said Mr Tan Nguan Sen, Director of Catchment & Waterways at PUB. There is a history of crocodile sightings at the Kranji Reservoir area, PUB said in a media statement. Twelve crocodiles have been caught alive since 1989, with the last one caught in 2006. There were no crocodile sightings reported in Kranji in 2012 and 2013. PUB said it received a report that a crocodile was spotted in Jan 2014 at the Kranji Intake Bund, which is located at a remote area of the reservoir and is out-of-bounds to the public. There are warning signs to alert the public on the potential presence of crocodiles there. "Since 1989, PUB has authorised a team of crocodile handlers to capture them alive and hand them over to a crocodile farm in Kranji for safekeeping. 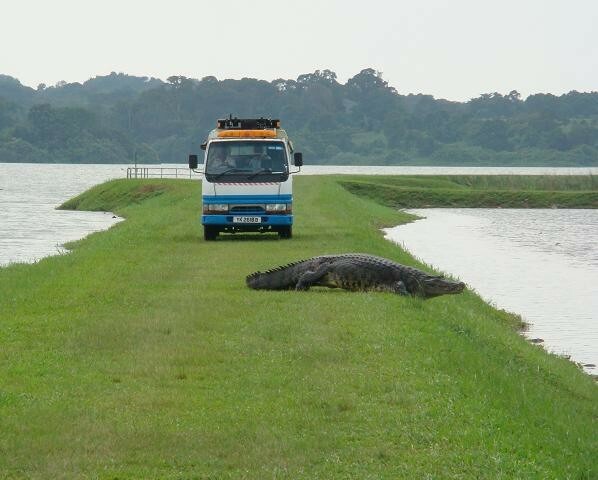 This measure was taken to prevent the crocodile from endangering workers and visitors to the reservoir," said Mr Tan. PUB said its officers carry out surveillance at the reservoir on a daily basis. In the event that crocodiles are spotted, fishing activities are suspended as a safety precaution. To preserve the natural and tranquil setting of Kranji Reservoir, PUB has not introduced water-based activities at Kranji Reservoir. However, designated areas are opened up for recreational fishing. The designated fishing ground is located near the areas where amenities such as transportation and toilets are available. Should the public spot any crocodiles, they are advised not to provoke them and to keep away. Once at a safe distance, they should immediately contact PUB's 24 hour call centre at 1800 284 6600 or AVA's Animal Response Centre at 1800 476 1600. 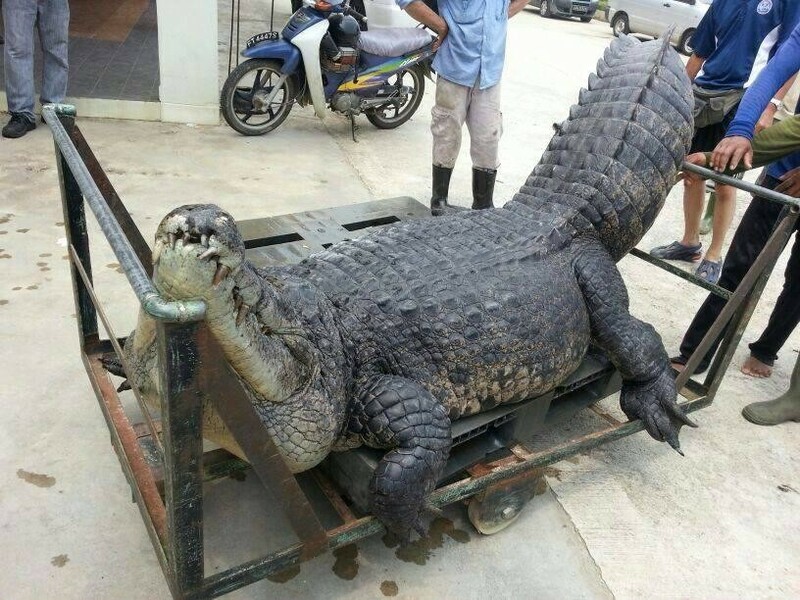 Local villagers at Kg Birau, Tutong brought in a 'big catch' yesterday as a 15-foot long crocodile was found in one of the traps they set-up for the animal at Sg Birau in Kg Lamunin. 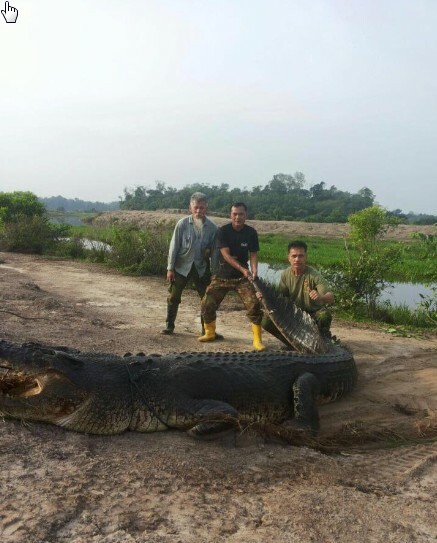 One of the catchers, Md Isa Hj Layeh told The Brunei Times in a phone interview that crocodiles have long been spotted in the village, especially at the river area near Jln Kecil Birau-Sentol, where the villagers' buffalo farm is located. "Some of our (villagers) buffaloes recently went missing so we set up the traps a few days ago to catch the culprit (crocodiles)," he said, adding that in the past few years, villagers have caught more than five of these reptiles, which have been known to cause destruction to farm and livestock in the village. 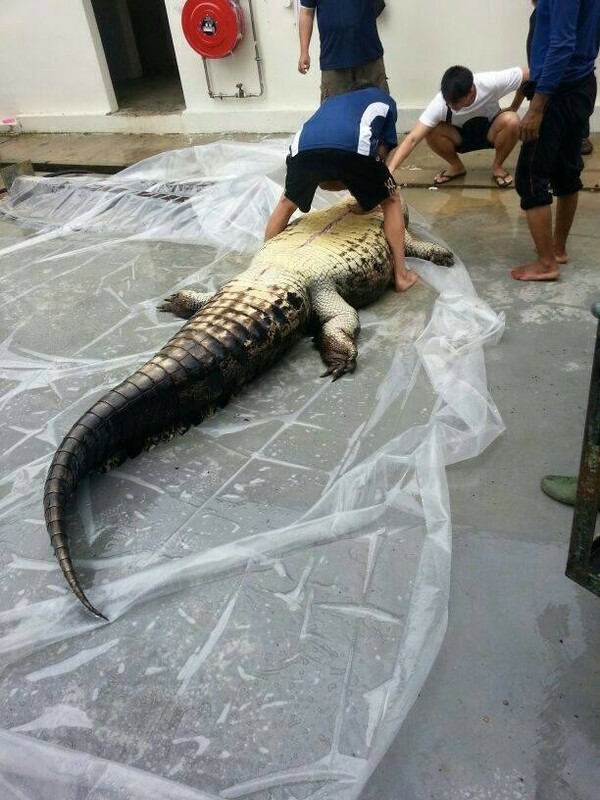 Separately, a large, 400 kg crocodile was found dead in Kranji Reservoir.